This website aims to give you a taster of the school, as well as providing up to date information for parents, pupils and the wider community. We hope that you enjoy your visit to our website, and that you find the information you are looking for. 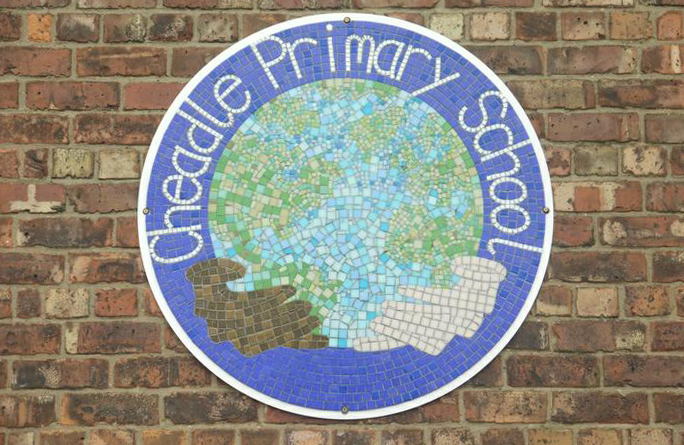 At Cheadle Primary School we want to provide every child with a firm foundation for a happy and successful future. We work hard to make our school fun and an exciting place to be! We want you to learn as you much as you can and know what you need to do to get even better!! We invite your parents and carers to share your learning. We help you to work together, take care of, listen to and value each other. We encourage you to recognise the needs of others. We work hard to ensure that everyone feels happy, safe and secure. We listen to what you say and make our school a better place to be. We give you lots of opportunities to work with the community.